NOTE: Footprint of 12' and 14' wide buildings are approximately 7 inches less than stated width. and we'll send you a FREE gift when they buy a building. Be sure to have your friend tell us YOU referred them! We are a family owned & operated company, committed to offering the finest quality buildings and providing prompt, friendly service. We believe that honesty and Christian integrity are foundational in building solid customer relationships. 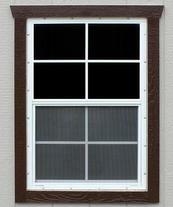 By offering a quality product at a fair price, we have earned the confidence of thousands of satisfied customers. ​ Your needs are important to us! 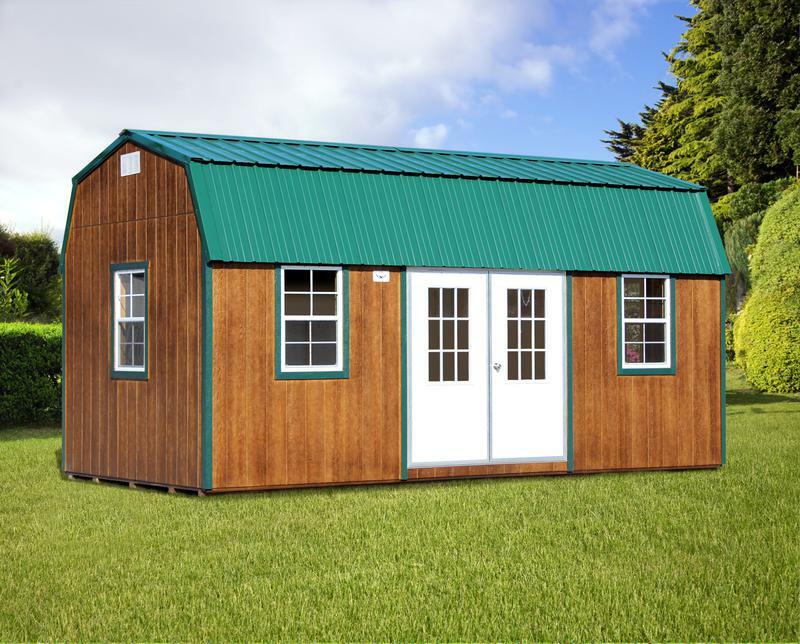 That's why we offer these Arkansas portable buildings in a wide variety of styles, sizes, & colors. These quality wood storage sheds are available in 11 different styles. We offer the Regular Barn, High Barn, Workshop, Quaker, Cabin, Side Cabin, Barn Cabin, Side Lofted Barn Cabin, Barn Garage, & Garage. With this variety of choices you are sure to find a style that is right for you. So, whether you need to store furniture, out-of-season clothing, garden tools, a lawn mower, ATV, or are looking for that perfect weekend get-away cabin; we can help you through the decision-making process to find the building best suited for your needs. Best of all, we probably even have it in stock, ready for quick delivery! So, click on the "Dealers" tab to contact the dealer nearest you today! We also offer many custom options such as windows, shutters, flower boxes, ramps, roll-up doors, lofts, shelves, workbenches, and more! If you have custom needs not mentioned, please ask. We take our customer's needs seriously! We are committed to offering you the highest quality portable buildings at a fair price. Please click on the "Testimonials" tab to see what our customers have to say. 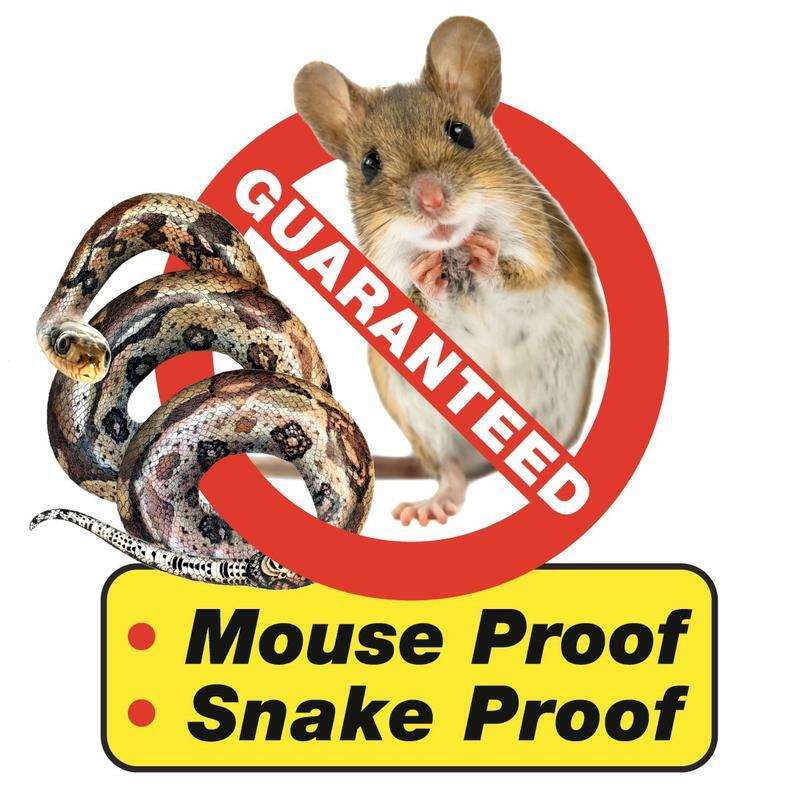 For your peace of mind, we offer our legendary "Mouse and Snake Proof" guarantee on all our wood storage sheds except the Value Sheds, Barn Garages, and Garages. Have you personally seen a Bald Eagle portable building? If not, you owe it to yourself to visit your local dealer to see the excellent value built into every Bald Eagle portable building. You'll be glad you did! ​ Paying for your new Bald Eagle building is simple. We accept all major credit cards, checks, and cash. We are also able to Rent to Own storage buildings through the Bald Eagle Rent-to-Own plan. Now you can purchase the portable building you need and pay for it in 36 or 48 convenient payments. We appreciate you being here on our website and we invite you to browse around. Here you will find solutions to your storage needs. Everything from sizes and styles to prices and pictures; this website allows you to shop at your leisure. You are also invited to call us and one of our experienced sales people will help you find the building that is right for you! We want to earn your business! Thank you for considering a Bald Eagle Portable building!! Welcome to Bald Eagle Barns, LLC! Bald Eagle Barns will be closing at noon Friday, April 19 in observance of Good Friday! Add a tool organizer for only $65! Holds up to 20 tools! Add a shelf package for only $175 to organize all the little stuff better. Roof: $0.75 / sq. ft. Walls: $1.50 / sq. ft.